Mignon Clyburn sent out a Notice of Proposed Rulemaking to the NAB/RAB Radio show in Orlando today. She stated that it, "will represent the next major step in the commission's review of AM service." Then the FCC Commissioner spoke. We however think it's great news for radio. In particular, the African American oriented news, talk and information programming, that for the most part is heard only on AM stations. Many of those AM stations were beacons to the community in their hey day of the 50's, 60's, and 70's. However since the 80's, those former giants of Black Radio have been relegated to the lowest rank within most media groups. The Black radio stations that Radio One founder Cathy Hughes so fondly remembers no longer exists, has evolved into talk radio programming, or has changed to a format catering to a different culture or demographic. FM radio made a huge impact. Only one Black radio station remains viable from that era, and that would be WDIA in Memphis. They play mainly Urban AC R&B and Blues music. Listeners shift to FM radio, that began in the mid 70's, has been devastating in terms of ratings for these stations and for the Black community. 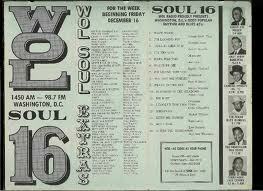 These so-called Soul music stations also maintained their own news departments with full time reporters. That of course has all gone away. Not a good thing for a community that is starved for "real" news and information in this day and time. But the reality is that no matter how good the programming is, only a handful of people will seek out AM radio and tune in. Older listener's know it's the only place where you will hear national views from the Rev. 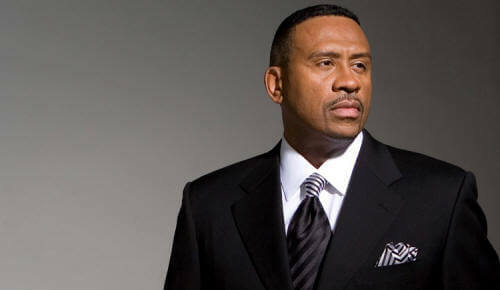 Al Sharpton Radio Show, "Keepin' It Real" and other local political programming aimed to serve African Americans. 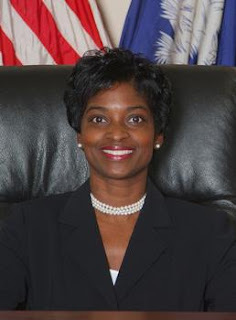 FCC Commissioner Mignon Clyburn has been an advocate and proponent of making sure media and particularly radio serves the community. This proposal makes good on her promise. We believe AM stations that are offering a format, that is not currently being heard on FM radio, should be granted an FM translator. The translator would not be a very strong signal in most cases, but it would be much more appealing to listeners versus the static delivery that exists on AM radio. For stations like WVON in Chicago, WOL in Washington, D.C., and even WLIB and WWRL in New York City, the opportunity is too great to pass up. WURD in Philadelphia could also be included in that group as well, although the African American oriented programming on that station is only ten years old. WAOK in Atlanta is another, however it does not have the same tradition of the aforementioned heritage stations, that always seem to be found on the right side of the dial with the scratchy signal. Maybe Radio One would be even willing to program WILD in Boston instead of leasing it to Chinese Radio International as it does now and provide the city with at least one African American oriented station. FCC proposes that every AM station gets an FM translator to "revitalize the AM Band". Sure let's revamp AM by cluttering FM even more.